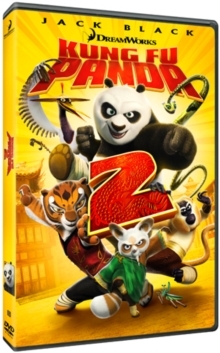 Animated action adventure sequel that sees Jack Black reprise his voice role of Po, the kung fu fighting panda. When Po's biological father (Bryan Cranston) shows up, he takes him on a journey to see where he really belongs. When he meets Mei Mei (Kate Hudson), a girl panda who was promised to him as a wife on his return, Po finds that he no longer fits in with the panda crowd. As he tries to settle in, the pandas tell him of an evil ancient spirit called Kai (J.K.
Simmons) who is stealing the powers of the kung fu masters. In a last-ditch attempt to save the colony from total destruction, Po vows to teach everyone the art of kung fu so that they can defend themselves when the time comes. The all-star voice cast includes Dustin Hoffman, Seth Rogen, Angelina Jolie and Lucy Liu.